Earth.Food.Love is a family-run store in Totnes, South Devon, U.K. that sells over 150 unpackaged organic products. The family commits to a zero waste packaging policy. The message of this zero waste shop is pretty black and white. They encourage customers to bring their own reusable packaging such as an old oil bottle or an ice cream tub, which will serve as the container for the goods they will bulk-buy. Earth.Food.Love. 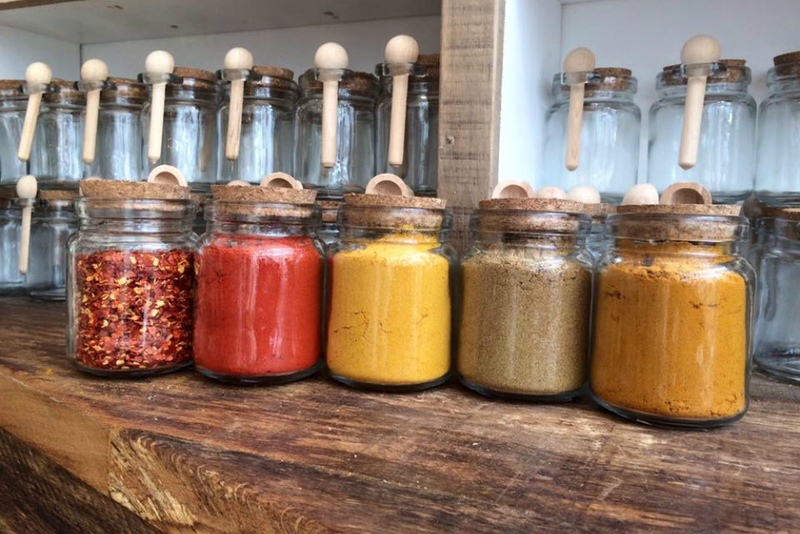 offers everything from herbs and spices, dried fruits and nuts (you can grind them there), flour, sugar, grains, pasta, beans, vinegar, and oils. There are five simple steps to follow. First, weigh the container and the print a label for it. Second, fill it up with the product. Third, weigh the container again. Next, print the new label which now includes the price and new weight. Last, go to the checkout counter pay for it. Now if you don’t have a container with you, don’t worry as the store also has biodegradable paper bags for your purchases.